holistic approach. evidence-based tools. comprehensive treatment. effective solutions. The approach you’re used to is geared towards symptom management. Our approach is different. We aren’t satisfied with quick-fix approaches to complex, chronic problems. Rather, we investigate the underlying causes and contributing factors to your health problems and correct the problem at the root. The result? Lasting improvements, truly better health. “After getting sick of being sick I realized that I must try something different because my primary doctor was going by what insurance dictates and that was not working. The moment I sat down with Dr. Otto I realized that this was different than other doctors…. Since her care, understanding and knowledge is so great, you can rest easy while trusting that you are doing everything you can to stay on top of your own health…” - T.T. Dr. Otto is a licensed naturopathic doctor and certified functional medicine practitioner focusing in the treatment of complex chronic illness. 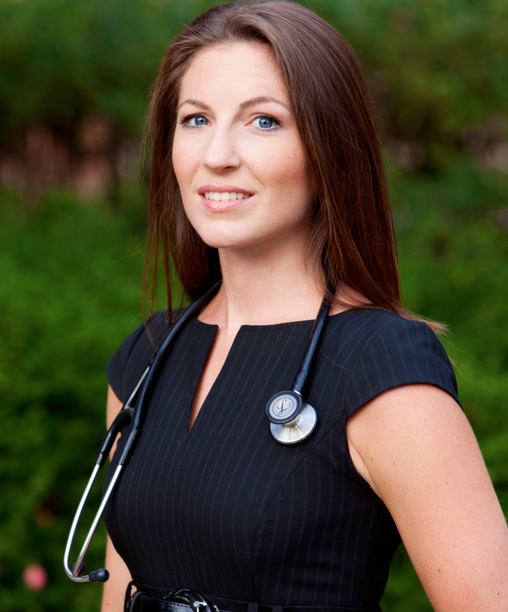 After completing her bachelor’s degree in New York, she earned a 4-year, naturopathic medical degree from the Southwest College of Naturopathic Medicine, completing a competitive residency in naturopathic family medicine in Arizona thereafter. 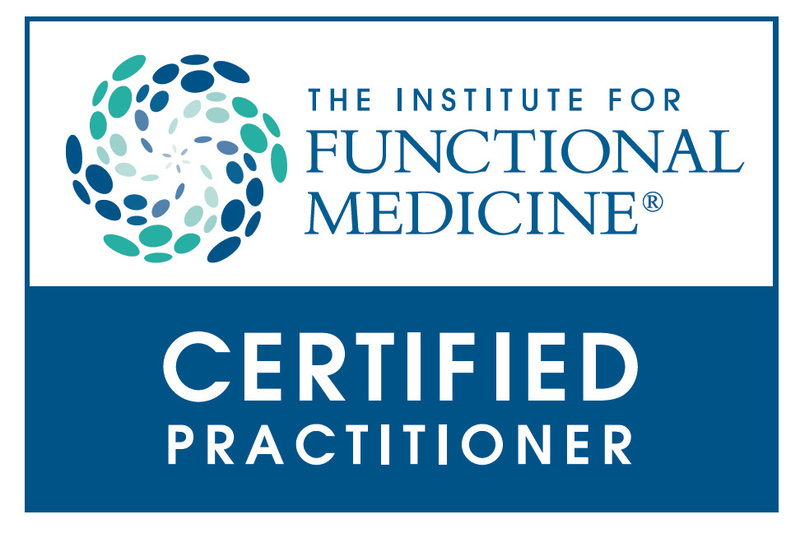 While seeing patients in private practice, she simultaneously completed an esteemed certification in functional medicine through the Institute For Functional Medicine (IFM). This unique and extensive training allows her a broadened clinical toolbox with which to approach patient care and achieve enhanced patient outcomes. She also lectures to businesses and the public on wellness topics. She is a member of the Institute for Functional Medicine and the American Association of Naturopathic Physicians. “I am writing to express our complete and incredible confidence and appreciation for Dr. Otto… We cannot thank Dr. Otto enough for her kind, loving, professional ways! She took a very grave situation and carefully and methodically supported our daughters immune system… We are forever grateful to be in her care…” - R.K.
A thorough functional medicine clinical assessment to investigate the dynamic factors related to your health. A comprehensive diagnostic evaluation, utilizing both conventional laboratory markers and science-based functional medicine labs based on your health history. An individualized, comprehensive treatment plan. Positive health changes and relief from your symptoms, reduced physical pain, higher energy, and improved quality of life. If you continue to utilize the functional medicine approach long-term, you will likely benefit from either a reduced need for or total avoidance from medications and surgery. "I am so grateful to have found Dr. Otto. Her thoroughness, her compassion, her care for people and her ability to identify with those who deal with anxiety is a true blessing." - S.D. Functional medicine is different because it utilizes a patient-centered clinical approach to treating patients. It recognizes that you are not simply a sum of body parts, but a whole person. Your health issues are interrelated and require an investment of time and attention to understand the cause of dysfunction, not simply a band-aid. Functional medicine utilizes a masterful clinical toolbox which blends together cutting-edge, evidence-based natural therapies, strategic lifestyle therapies and the most holistic of conventional treatments to deliver to you the most effective treatment plans possible. In addition, a key principle of this model is to provide thorough support throughout the entire treatment process. 1. What is the benefit of seeing a functional medicine doctor? Chances are, you've found this site because you're not completely satisfied with your healthcare so far. You've probably sensed that something important is missing from the equation. You are much more complex that a bunch of organs put together. All your systems work together in an incredibly ornate and dynamic way and you are genetically and biochemically unique from those around you. A functional medicine doctor, especially a naturopathic funcitonal medicine doctor, recognizes this and puts the pieces of the puzzle together very differently to understand the cause or the why to your health issues. In addition to analyzing health and disease differently, they will opt for safe, gentle, natural treatments whenever possible and will only use pharmaceutical intervention when absolutely necessary. This means you get holistic, individualized care with little to no risk of side effects. 2. This kind of care sounds expensive. How much does it cost? While the exact amount will depend on whether or not your insurance company covers care (in which case it would cost the same as conventional services), even if you are paying out-of-pocket for services, the long-term savings make it tremendously worthwhile. Taking the functional medicine approach means you are literally changing your health trajectory which saves you the cost of expensive surgeries and medications down the road, not to mention the added quality of life when we aim for lasting fixes rather than "quick fixes". It is important to note, however, that the treatment support (often in the form of supplements) are rarely covered by insurance except by HSA accounts. *Our patients in New Hampshire often find that our services are covered by their health insurance. 3. Does it really work? Yes. We combine the best of traditional medicines that have been verified in evidence-based research. We take the best of the best to give you efficacious and consistent solutions. In addition, our programs are rarely one-pronged. We address your concerns in a multi-dimensional way, to reach results via different mechanisms at the same time. This compounds our effectiveness exponentially and is verified clinically time and time again, albeit sometimes difficult to re-create in clinical trial where you are limited to using only one treatment at a time. Our plan is a little different for each individual we're working with because everyone's case is unique. We may use any combination of therapies during our time together to find a solution that's best for you. In our practice, we utilize clinical nutrition and nutrient therapy, botanical/plant medicine, classical homœopathy, physical manipulation and deep tissue techniques, physiotherapy, mind-body techniques and holistic counseling, environmental medicine. The types of therapies used in other functional or naturopathic practices may vary somewhat. 4. Can I use naturopathic medicines if I'm already using prescription medicine? Yes, absolutely. We are well-versed in pharmacology as well the complete profiles of the natural substances we use. We are also well-versed in drug-nutrient or drug-herb interactions, so we can safely prescribe naturopathic medicine that will not put you at risk nor interfere with your current conventional regimen. 5. Why should I see a functional medicine doctor if I already have a conventional family doctor? The majority or pharmaceuticals used in chronic disease are meant to palliate symptoms, or mask them with a band-aid to help you function normally, but they don't ultimately fix the underlying cause of the problem. A functional medicine doctor's goal is to dig deeper and explore why your body starting expressing those malfunctions/symptoms in the first place. This is a very important doctor to have on your healthcare team restoring you to optimal health, not simply treading water. 6. Will you work with my other doctors? Absolutely! Whenever possible, we will work with your other doctors. Every type of medicine plays an important role in your care, and our goal is for you to be maximally healthy. We value the team approach to your health and strive to make it as easy as possible for you to attain your goals. 7. What conditions do you treat? Our office offers FREE 15-minute consultations so that you can determine if our services are what you’ve been looking for.